Third Part about LVMH Group. Fourth Part about Kering Group. Name a Swiss watch brand, practically any Swiss watch brand apart from Rolex, and the chances are it is owned by one of the big three conglomerates that are busy gobbling up watch companies in the same way Godzilla likes to chew up big cities. – OMEGA? Owned by the Swatch Group. – Ulysse Nardin ? Kering Group. Once upon a time the Swiss watch industry was composed of dozens of proudly independent Swiss watch brands each vying for supremacy, finding their own unique methods and products to market to the world. Today, with a few exceptions, while independent Swiss watch brands still exist, they tend to be high-end and elite, or small, cosy and niche, run almost as a part-time hobby by some of the world’s leading watchmakers. Over the last 30 years, groups such as Swatch, Richemont, Kering and LVMH recognised that having powerful global reach and a huge market presence was more easily achieved by bringing several reputable watch brands under one roof. In many cases this concept was instigated more by need than by luxury of choice and it started a feeding frenzy that today sees a veritable who’s who of Swiss brands under one of three lavishly appointed roofs, and ironically, only one of them is Swiss owned. Why did so many Swiss watch brands become part of a group? It was back in the 1980s when the Swiss watch industry faced its meteorite moment. Unlike the dinosaurs, it was not a rock from outer space that nearly caused the Swiss watch industry’s extinction, it was crystals commonly found in the earth’s crust. The Swiss watch industry had taken such a severe pasting from the so called quartz crisis that few brands had remained unaffected. Several had gone to the wall. It is said that there was not a single Swiss family involved in the watch industry at the time that had not felt the effects of the crisis. In one year alone, the sales of Swiss watches had dropped by 25 per cent. At the time, the major Swiss manufacturing group went under the distinctly un-catchy title of Swiss Allgemeine Schweizer Uhrenindustrie AG – Société Suisse pour I’Industrie Horlogére (ASUAG-SSIH). Among several well-known brands they handled OMEGA but they were losing money so fast the banks had to intervene to stave off a national crisis and spare the blushes of what was once the dominant force in world watchmaking. Switzerland’s rich watchmaking traditions and hard fought for history of horological innovation were all but swept away by the onslaught of Japanese quartz technology. It was hard to argue with the logic: quartz crystals are more accurate than the best mechanical timepieces, and the elimination of all moving parts makes them more rugged and eliminates the need for periodic maintenance. At that stage of the world’s horological appreciation we were not ready to accept that watchmaking was more than just about telling the time. If the Swiss watch industry was to survive, it needed to run for cover. Enter the conglomerates. Nicolas Hayek was a Lebanese born entrepreneur who knew little about horology and watch production techniques. 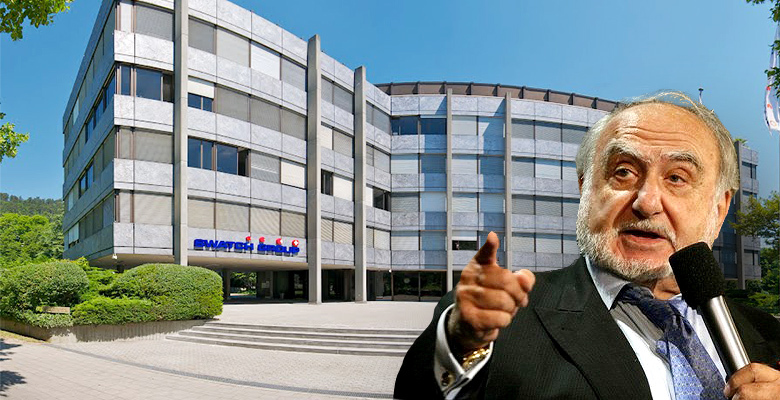 It’s easy to imagine just how sniffy and horrified dyed in the wool Swiss watchmakers must have been when he was appointed by the banks to head up the ailing ASUAG-SSIH. He devised a plan that not only stopped the rot, it out played the Japanese at their own game, and quickly revived the Swiss reputation for quality combined with creativity. It was the development of the Swatch Watch. Another non-industry professional, Pierre Arnold, was brought in to head the organisation. And then, of all things, to the dismay of the traditional Swiss watch industry, a physician by the name of Ernst Thomke was brought in to advise on life saving shock therapy. 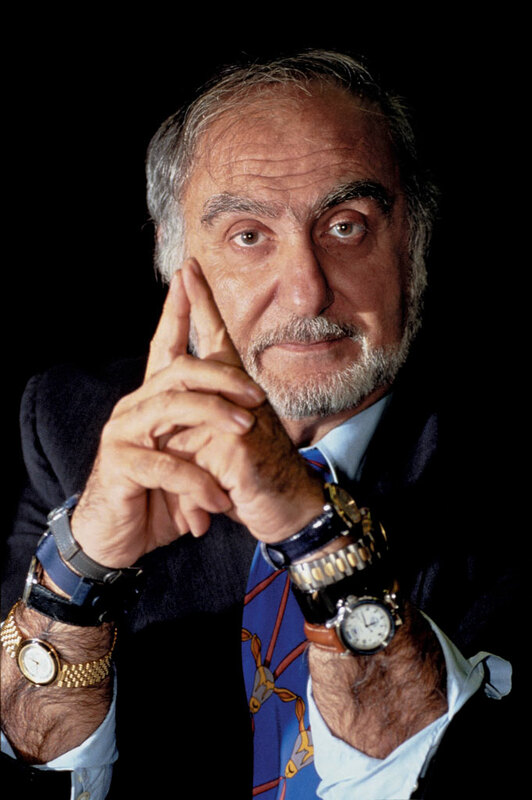 His first suggestion was to sell Swiss made movements around the world. It was a preposterous idea that only an outsider could conceive. But it worked. Then Thomke worked out a strategy to take back the ground lost to the Japanese. He established five clear rules of business that proved to be the blueprint for the Swatch watch. The watch had to be stylish, cheap to make, competitively priced, hard wearing and technologically superior. Introduced in 1983, the mighty Swatch was a global phenomenon, with some fans wearing two Swatch’s on each wrist. Swatch transformed the fortunes of ASUAG-SSIH and eventually became known as The Swatch Group in honour of its remarkable creation. 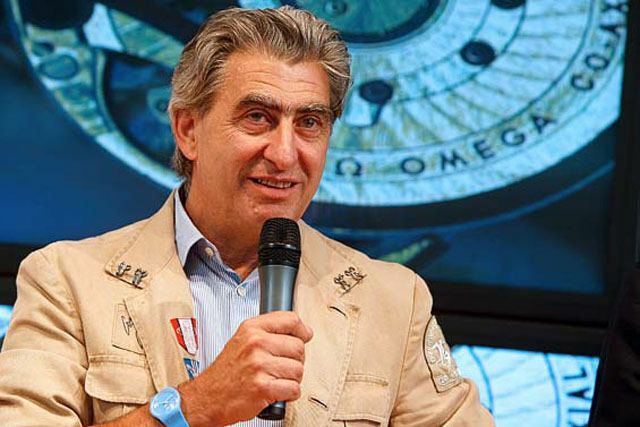 Today, thanks to the efforts of Nicolas Hayek, and the smooth transition to his son Nick following his death, the Swatch Group claims to be the the only enterprise in the world that produces a mass-market product and is present in every market segment: from the very top of the range through to children’s watches. 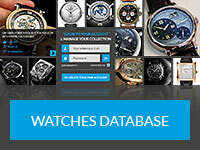 Its list of 18 watch brands reads like a who’s who of the Swiss watch industry and includes in addition to the best-selling Swatch such mighty brands as OMEGA, Longines, Tissot, Blancpain, Breguet, Harry Winston, Glasshutte Original, Hamilton, Certina, Mido and more. Let us not forget that it also owns the movement making giant of the Swiss watch industry, ETA, upon which many calibre is based. In recent years, ETA has made the strategic decision to stop supplying other non Swatch Group brands with their movements, a service which was the very lifeblood of the industry for many years and rescued the industry from the dark days of the quartz crisis. The upshot of this move is that many more brands are starting to become an in-house Manufacture.